A painful hip can be through a one off injury but more commonly in clinic we see pain that has come on gradually over a period of months and got worse. Patients describe a deep pain in either their groin or buttock or both and don’t recount a particular event. Their pain tends to vary in severity and is aggravated by certain movements that compress the joint surfaces including prolonged sitting. Often these patients are scanned and the results of the imaging don’t match their pain presentation. Some have a large amount of damage in their hip but are relatively pain free and others are very painful with little to report on the scan. The majority of patients (regardless of their scan results) have muscular inhibition, as a result of the pain they are in and which we can address with home exercises which almost always helps them with their pain. 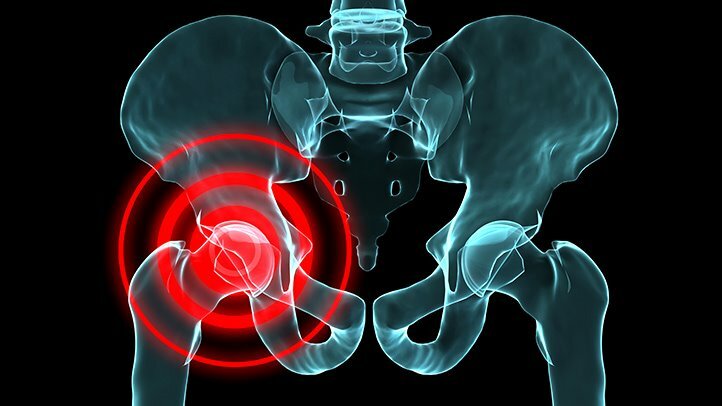 Patients with painful hips tend to keep going on them until they have picked up a poor movement pattern (limp) which sets off a cascade of events that if you don’t address with treatment and rehabilitation they continue to gradually get worse. Once you are feeling pain the important thing to do initially is to identify the things that aggravate your pain and avoid them. This may sound like common sense but you would be surprised how many people try to push through the pain only to make it worse. For instance, if prolonged sitting is a problem, record how long it takes in sitting for you to get to 4/10 severity and then use this a s a guide to make sure that you don’t exceed this pain threshold in any one day. Do take medication as well. People will not take medication because they think it will numb them so they do not know when they are making things worse. Once you know that without medication you can only sit for 40 mins then once you are taking medication stick to this rule of not sitting for longer than 40 mins for 3 days and then reassess your progress. A person who has had hip pain for a month or longer will normally always have inhibition in their gluteal muscles (buttocks) and adductors (groins). In clinic, we would normally always prescribe exercises to help wake these muscles up. I often suggest a single leg bridge and a ball squeeze as a good place to start. Patients with hip pain also tend to have poor trunk strength, often worse on their painful side so we would also teach a modified plank exercise in three positions to strengthen the natural corset which is so important in stabilising the spine on the pelvis and off-loading the hips. At the same time as addressing muscular inhibition, we also encourage patients to work on their spasm. We often find in clinic if the gluteals and adductors aren’t working properly, their default is to go into spasm to stop you moving which causes you more pain. We find teaching you deep pressure techniques with a foam roller can reduce spasm and pain and be a great thing to do before you do your strengthening rehab. Regarding how much and how often. Obviously most patients are busy people and struggle to get anything done regularly just as some patients can over do it and aggravate things further. Therefore finding a balance is important and listening to your hip and how it is feeling, is of up most importance. I always suggest doing rehab Monday, Wednesday and Friday is a good place to start. The body needs to rest and recover from the strengthening you are doing and normally I say if you are sore (less than 4/10) during the exercises and and/or afterwards, that needs to be monitored and if you haven’t recovered by the next day and you are still 4/10 pain then you are doing too much of the wrong thing for you at that stage. During each rehab session I ask people to repeat each exercise three times until fatigue with a minutes rest between sets. Catching hip pain early and treating it aggressively before you pick up a poor movement pattern is essential for a speedy recovery. Do not leave things for a month before you do something about it. Early intervention is key in managing any injury. So in summary, the devil is in the detail. We see many patients who make fantastic recoveries from severe hip pain with a huge amount of damage on a scan. The patients who do best are those who catch the pain early and make time to do the rehab properly and listen to their symptoms and don’t train with too much pain. If in doubt and before you start doing the wrong thing it is important to get an accurate diagnosis. You should always get in to see an experienced physio or specialist sports medicine doctor with a special interest in the hip and groin as it is a specialist area and requires often a multi-centred approach. If you would like further information or would like to send us a question please feel free to get in touch and we will help you as much as we can. Both adults and children alike find that their level and intensity of exercise peaks and troughs throughout the year. The body has the most amazing capacity to adapt to any stress or load placed on it providing that it has time to do so. If we ask more of the body both bone and muscles can get stronger. The problems start when we have a sudden spike in a new activity or we do more sport at a greater intensity following a period of rest such as following the summer holidays and Christmas. When we then resume our sport with renewed vigor in a determination to regain any lost fitness the sudden spike in activity results in tissue overload and pain. Transitions between the sporting seasons such as the end of the football season and beginning of the cricket season pose problems with double the demand on the body. In growing athletes, there are two common types of overuse injuries, those affecting the bone and those affecting the insertion of the tendon on to the bone. Excessive, repetitive and sudden loading of young bones can cause bone bruising which often causes pain. With adequate rest, this will settle but if the symptoms are ignored, the child becomes at risk of a hairline fracture in the bone known as a stress fracture. These types of injuries tend to affect cricketers, swimmers and gymnasts who repeatedly arch their lower back stressing the bones in the lower back. They also are prevalent in the shin and foot bones especially in young runners. Recent thinking is that, in addition to excessive load there may also be a link to low levels of Vitamin D and it is worth considering supplementing the diet of children who live in northern England and those involved in indoor sports such as swimming and gymnastics. In adults, we see many overuse injuries in tendons such as the rotator cuff tendon in the shoulder caused by a sudden spike in activities such as hedge cutting and is known as a tendinopathy. However, in children the area of bone where the tendon attaches to the bone is weaker than the tendon itself and loading the tendon in the same way results in a growth plate injury to the bone. These injuries are commonly found in the heel where the Achilles’ tendon attaches (Sever’s disease), the quadriceps attachment at the knee (Osgood Schlatters disease) and can occur in any area where muscles attach to young immature bones. Traditionally the advice for overload injuries was rest. With careful management compete rest may not be necessary if the young athlete is given the correct early advice. There are guidelines within certain sports such as in cricket to limit the number of balls that young crickets can bowl in any one session and accumulated over the week. Many experts have used graphs such as this one to help us understand what is too much or too little (the “Goldilocks principle”) and it varies from child to child. The important factor is giving the growing body time to adapt and become stronger. The England Cricket Board adopt a recipe of no more than 2 consecutive days of fast bowling with no more than 4 days of play in every 7-day period. This is a sensible approach to most sports giving the body a day to recover allowing minor stresses to be heal and repair and more tissue can be laid down in case the load recurs. Many young athletes can pack an enormous amount in to a week with some children doing several sports a day and no days off to repair. It is not only the muscles and bones in these very active children that are at risk. These children are often exhausted and susceptible to a condition called overtraining syndrome with recurrent sore throats and fatigue. Ensuring children get adequate sleep is paramount as this is when the body can repair. The better conditioned a young athlete becomes, the stronger level of protection against injury. Learning to move correctly is critical to a child’s development and just like they must become literate in Maths and English, it is essential that they learn correct movement patterns and become physically literate. Movements such as lunging, crawling, squatting and deadlifts form the basis of many sports and should be taught at an early age but are often missing from the current physical education curriculum. Physiofit specialises in the development of young athletes and can provide guidance on how to create strong and robust athletes who learn to monitor their workload and safely learn how to do age appropriate strength and conditioning in a 1:1 or class environment in our rehabilitation centre in Wilmslow. Angela established Physiofit in 1992. She has been involved in treating people in sports at all levels both in the UK and Canada for the last 28 years. 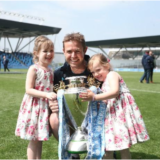 She has worked with the England Volleyball team, Cheshire Hockey, National league hockey clubs and is the Consultant Physio to all the Cheshire Cricket teams. Her major interest is in prevention of injuries especially in children. She now lectures on courses to share her expertise on developing athletes and gives regular talks in schools and clubs on injury prevention. 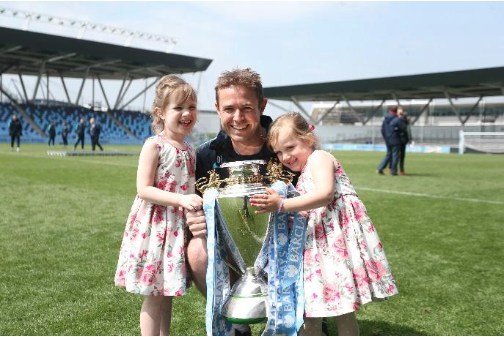 ​She launched the Physiofit screening programme 20 years ago to identify how to prevent injuries and enhance performance and has helped many young athletes realise their sporting dreams in representing their country including her own two children. Her areas of expertise are in knee injuries, the sporty child, hockey, golf, running, cricket and nordic walking. In the last few years she has become a dedicated running physio training with The Running School and with Blaise DuBois from the Running Clinic in Canada. She has extensive knowledge in golf strength and conditioning and screening having trained with TPI, Ramsay McMaster and Golf Biodynamics. They say prevention is better than cure and that is certainly true in hips! Having said that you can’t change your genetics. 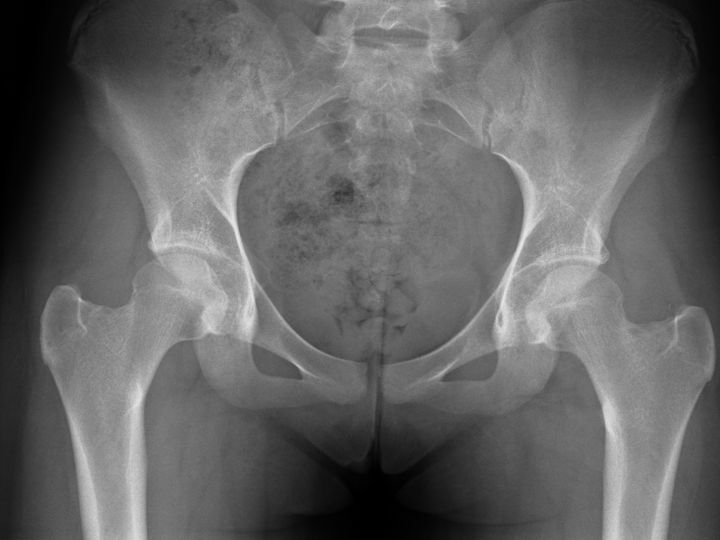 Some people have a certain shape to their hip which seems to predispose to the development of arthritis. These ‘CAM’ and ‘Pincer’ shaped hips predispose to pinching (impingement) of the hip against its socket, leading to damaged cartilage and eventually arthritis. Hip Arthroscopy surgery can be used to reshape the hip and may prevent early arthritis progressing to advanced stages. The most important modifiable risk factors for arthritis is your weight and activity level. Being even slightly overweight leads to increased load on the hip joint. Over time the hip can be squashed down and change shape permanently. The increased angle leads to more pinching and the hip wears down more quickly. Losing weight can slow the whole process down. Other people have illnesses in childhood such as Hip Dysplasia (the hip and socket are too shallow, having not formed properly), Perthes disease (the blood supply to the hip gets cut off in childhood), or Slipped capital femoral epiphysis (the growth plate of the bone slips out of place). All of these conditions need to be spotted in childhood so something can be done about it and potentially prevent adult hip osteoarthritis. Early hip OA is much easier to fix than advanced OA. Sometimes X-rays can miss the early features, MRI or CT scans are more reliable. If you are sure that you have hip or groin pain, but the X-ray is normal, you will need to speak to your doctor about a specialist opinion or scan. Sometimes a steroid injection done under X-ray guidance can give temporary relief, and provide clarification around whether pain in the groin or buttock area is truly coming from the hip joint, however, they generally wear off after 2-3 months, so it is not a long-term option. Other substances such as hyaluronic acid (an artificial version of your natural joint fluid) and PRP are also being used but need to be further evaluated to see if they have long-term benefit. It is important to do regular strengthening exercise (such as core stability and pilates) and maintain a healthy weight, if hip pain is becoming intrusive, ask to see one of our specialists. As a sports physiotherapist I work in a number of diverse settings which gives me access to a wide range of clients from the elite professional footballer to the office worker who is a keen triathlete at the weekends. For each client the need is the same “how can I get the most out of my body following injury in order to improve my performance.” Pain at the hip and groin region particularly can be very debilitating for the athlete, quite often it is very poorly understood area and as a consequence the problem can become chronic and result in an extended period on the sideline’s. Diagnostics play an important role as the hip and groin is a very complex area and problems can be difficult to diagnose. Orthopaedic consultant opinion together with radiographic imaging and specialist reporting is important in pinning down the correct diagnosis. A collaborative approach in assessment from leading specialists in Sports Medicine and the Sports Physiotherapist is the most effective route in treating the athlete in terms of getting them back to action as soon as is safely possible and providing a solution to ensure their long term fitness. First of all it is important to educate the athlete about their injury, the mechanism of injury often involving video analysis and the rehabilitation plan that will allow them to return to sport and avoid any injury reoccurrence. It requires a ‘buy in’ from both the therapist and the athlete to commit to a rehabilitation programme which will allow them to return to full fitness. Within these 3 phases the therapist encourages correct execution in technique and correct lumbo-pelvic form. Furthermore, a gradual increase in load progression, speed intensity and multi-directional movement patterns is also encouraged. Other treatment methods may also be incorporated if deemed necessary, such as improving the mobility of the lower extremities and spine with manual therapy and sports yoga, application of strength and conditioning principles, Shockwave therapy and clinical Pilates. It is also important to keep the athlete focused and interested within rehabilitation. In order to achieve this outcome the therapist must make rehab specific to their sport; jointly develop drills with the athlete to mirror scenarios encountered within a game situation and make rehab proprioceptively demanding in order to retrain reaction timing and load response. There is now a growing trend towards profiling of the athlete to highlight any injury risk factors and movement dysfunction that may predispose the athlete to injury. Data produced from the screen allows us to flag up any potential weaknesses that could be a contributing factor to injury and have an adverse effect on overall physical performance. In order to nullify these weaknesses the athlete who presents as a high injury risk is given outlined bespoke action points to work on and then they are assessed more regularly, every few months throughout the year on key tests relevant to their profiling findings. This detailed monitoring allows us to prevent potential injury occurrence in key area’s such as the hip and groin and ensures the athlete remains fit, strong and pain free in order to achieve optimal performance.